The platform provides competitive solution analysis across key selection criteria and vendor data. These built-in analyst ratings are combined with subjective user ratings in on-going selection projects to create SelectHub ratings reports. Want help with your shortlist? 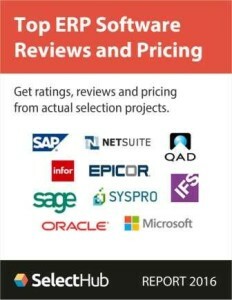 Connect with SelectHub to expedite your enterprise software search with free recommendations based on our expert software evaluations and actual selection projects. What GRC Will Look Like by 2025 and How to Plan for It Now?